In this guide, we will show you how to get a fake IP address to access blocked and restricted websites and apps in any country you want. ISPs (Internet Service Providers) make sure that they provide you with the necessary connection needed to effortlessly access the web, but for a fee. Every single time a device; smartphone, computer, tablet and even a smart refrigerator connects to the internet, an IP address is assigned to it. What’s an IP Address you may ask? Before we talk about fake IP address we’ll talk about what is an actual IP address. Well, an IP address is a unique number that is assigned to a device connected to the internet or network. This number can be used to identify a particular device including your physical location. When you access the internet, your IP address is broadcast for all to see it. Every website you visit, and every network you use will know your IP address and they can use it for a number of different purposes, some completely fine, and others you should be very worried about. IP addresses are however not written in stone and can be changed. And this is where we will perform the most of our work. With a fake IP address you will have no trouble accessing websites that are blocked or restricted in your country. This is a good thing because there are times when you’ll want to change your IP Address. For instance, some content providers (eg. BBC iPlayer) will only serve their content to IP addresses in a particular geographical location (eg. the United Kingdom), which in turn means that all IP addresses not from that locale will be blocked. This is known as Geo-Blocking. To bypass such restrictions, you need to change your IP address to a different one that is registered in the location you want to appear to be located in. In other words, you need a fake IP address. With that fake IP you can watch all content from streaming sites such as BBC iPlayer. But fake IP address isn’t just useful because you can watch content from sites such as BBC iPlayer. Fake IP address can come in handy in many other situations. 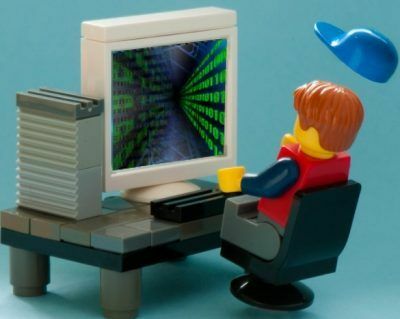 Remain Anonymous Online: One of the major reasons why people want to learn how to change their IP Address is so that they can stay anonymous online. To what end, you may ask? By using a different IP address you appear to come from a different location, therefore if anyone is monitoring you and trying to track you down then they think you are somewhere else other than where you actually are. With the amount of cybercrime going on these days, this is a major draw for people to change their IP address. Appear From a Different Location: You’ve probably heard or noticed that when you try booking a flight online from different locations (different IP’s) there’s usually a price difference even though it is the same flight. This is despite the fact that the departure time and location remain the same. What usually happens is that booking sites will take note of your IP Address and if it shows you’re from a country with a higher GDP (indicating wealthier populations), you will be shown more expensive flights than someone with an IP Address from a location with a relatively worse off economy. Also, these airfare websites can take a peek at your browsing history by looking at cookies stored on your website. If it shows you’ve been looking for flights, you’re likely to be shown more expensive flights than other visitors who are checking flight price for the first time. Hackers are also not likely to track you down and steal your sensitive data. Unblock Sites: There are quite a few geographically restricted websites that you cannot reach from certain countries in the world. For instance, if you’re a fan of the wildly successful Netflix sci-fi drama Stranger Things, you can’t watch it online while on holiday in China. Should you wish to unblock Netflix from China – you would require a US-based IP address. Some Geo-Restricted websites include but not limited to: Netflix, HULU, HBO, NFLSeasonPass, BBC iPlayer, ABC iView, Channel 7 (Aus), and just about every TV Network that also streams their content. Access Blocked Content Everywhere: Sometimes, it’s not geo-IP restricted websites that are the issue. Some educational institutions and workplaces, install firewalls that restrict content that you can access Schools, Universities, and workplaces are notorious for this; usually blocking sites that serve no educational purpose. With a VPN, that also changes your IP address, you can circumvent the firewall and access restricted content because your internet will be encrypted so they won’t know what you are trying to look at. Bypass Online Censorship: Authoritarian regimes are infamous for heavy censorship and online surveillance. In environments such as these, you need to be vigilant and innovative. However, censorship and online surveillance are not just limited to 3rd world dictatorships. For instance, Europe is one of the biggest advocates of Internet freedom whereas in reality censorship also exists in Europe. Changing your IP address and getting another one representing a different location in the world, should get rid of such problems right away! To put it another way, how can you gain access to a fake IP address. There are multiple different methods you can use to change your IP address to appear like you are in another country or city. The process varies from method to method and some methods suit certain needs better than others. Smart DNS: This is an alternative software similar to a VPN, it helps mask your IP Adress.Unlike a VPN, though, it does not offer any data encryption and this can lead to security hazards.To use a Smart DNS, find a reliable Smart DNS service provider and activate it to conceal your true identity (the IP address).After manual configuration and selecting another country’s server, the Smart DNS is going to offer the desired outcome for you.A SmartDNS is the best choice if your only purpose to change your IP address is to stream video at home and nowhere else.This will provide the quickest speeds as there is no encryption. Note: If you are wanting to use it on multiple devices in different locations (eg school, home, work etc) then the VPN is a much better option.You don’t need us telling you that if you are looking for a fake IP, Smart DNS services will get you one.But smart DNS services aren’t as effective as VPN services when it comes to fetching a fake IP address.That doesn’t mean they are not effective.They are.You will need to log into the SmartDNS dashboard and set your actual current IP address every time you try to use it from a different location. Tor Browser: Tor is an open source, free web browser that enables you to mask your true IP address regardless of your location. If you visit the official website of The Onion Router, you will be instructed on how to get a new IP address and thus shield your anonymity online. You will have to download the Tor browser and proceed with other instructions as advised to get a brand new IP address. While this will change your IP address and encrypt your internet connection it does have some downfalls. For starters, it is extremely slow. Don’t even bother trying to stream video or music with it, it is even very slow to open up a normal web page. Secondly, this is the browser that is used to access the Dark Web, so ISP’s and the Feds are monitoring who is using the Tor browser. Which is the safest method to benefit from? To answer the question “how to change my country IP?” we’ve highlighted all effective methods and hope you’ll find them helpful. Not all methods are created equal. Some of the solutions we’ve offered come free (but there are some security issues and hassles involved on your end), whereas some others require an inexpensive subscription. Some of them simply provide a change of IP addresses, whilst others offer additional bonuses such as encryption and speed. Being avid users of VPN services ourselves we recommend IPVanish. Not only do they provide a diverse range of servers but you also protect your online privacy through deep data encryption. Feel free to change your country’s IP address according to your needs and explore the depths of online freedom at your own pace! Some of you may only want to change your IP address but don’t care if it is in another country, you just want a different IP for some reason. We will show you how to do it but be warned that it can cause problems in some cases where you will not be able to access the internet anymore. To start with, we’ll list methods that can change your IP manually without any tools. You might be able to do this once or twice but you will end up hitting a brick wall. Luckily this is not often the case. The first method is quite simple, but you have to wait and it doesn’t always work. Go to IP finder tool near the top of this page and note down your IP Address, take a screenshot if easier. Then you will need to switch off your Modem and Router and PC for around 8 hours. In a lot of cases, simply doing this will change your IP address. After 8 hours, turn it all back on and then go and check your IP address again to see if it has changed. If it has not changed or you can’t wait then follow the below set of instructions. 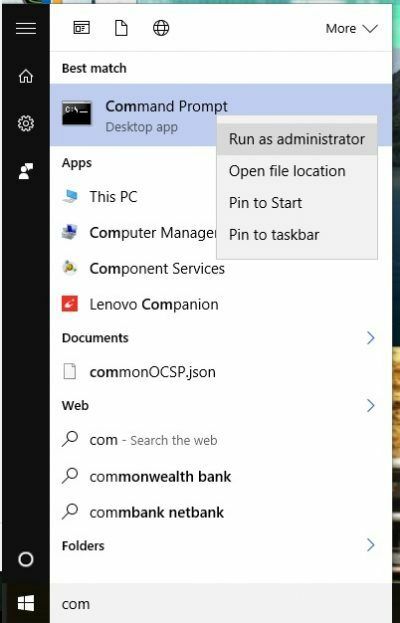 Go to Control Panel by “right-clicking” on the windows icon in the bottom left. Restart your PC and you are done! Head to near the top of this current page and see if your IP address has changed. If it did not then you probably have a static IP. Note: Using proxies will change your IP address BUT the proxy you use can see EVERYTHING you do and can intercept all of your data and do what they want with it. This is why we don’t recommend using proxies for anything other than browsing. NEVER submit anything sensitive or log into any accounts using a proxy. Don’t bother trying to stream any video or music with a proxy either as the connections are very flakey (drop out a lot) at best and very slow. Default IP address can be changes in Linux OS using similar method with some differences. We really hope we answered everything you wanted to know about how to change your IP Address to another country. If you have any further questions then please write them in the comments section below and we will try and help you out in solving your problem. If you need to change your IP address to another country, then the simplest and best method is using a VPN, if you want the cheapest way then it is using Tor, and if you don’t care about the location of the IP address and it to be more of a permanent change then do it manually. under “how to change your ip into different country” for Mac, you stated Get to a new IP address by using a free proxy service (get one from the link/list we just provided above)” , which exactly is the link? This link proxylist.hidemyass.com, hope it’s clear now. Let’s stay calm everybody :). You’re welcome Sayde, we’re happy that it helped! Can this be done with an iPhone or android? Yes it can be for sure, go with the VPN method – it’ll be the best and easiest way for you to achieve that. Hope it helps! Which country will provided in dis fake IP?? It depends on which VPN you choose. For eg. IPVanish have over 60 different countries. Thank you it didn’t work on my Mac after following the instructions, they still see I am out of Australia. Did you use a VPN? This is the best way by far. 2. 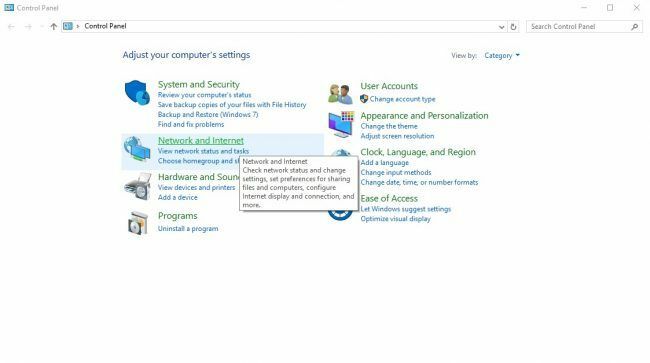 Select the network connection service you want to use (such as Wi-Fi or Ethernet, unless you named it something else) in the list, then click Advanced. 3. 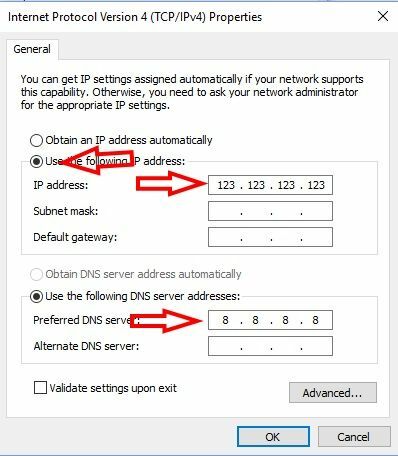 Click DNS, then click Add at the bottom of the DNS Servers list. Enter the IPv4 address for the DNS server (8.8.8.8). I suggest you simply add dedicated socks5 proxy on your computer with that you are in complete control, choosing the IP address of whatever country you desire to surf anonymously. Thanks for sharing this useful tips with us. How can i change My IP from Bangalore to Florida USA, Can anyone suggest me. I want to review one of my client website. There are so many ways to do that. You can use a proxy service or a smartDNS service or a VPN service. Using a VPN service is the best and easiest method to view any site. There are many free VPN service providers such as ProtonVPN and OperaVPN that comes with the Opera browser. But if you want to make sure that your privacy isn’t messed around with them paid VPN service providers are the way to go. For that, we recommend IPVanish. Setting your adapter IP address, will NEVER change what your public address will be. Those steps are useless. 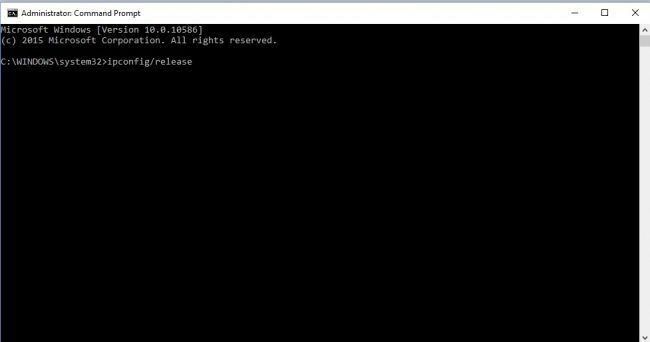 Rebooting your modem is likely the only thing to change what your outside address will be if the ISP is setup to provide a new one on reboot. You CAN set your PC’s IP through the properties to anything you want, but ultimately the Modem/Router will Hide NAT any address destined to the internet with the IP it has been given via the ISP. That is also one of the reasons why we recommend people use VPN services to change their IP addresses instead of getting caught up in changing their adapter settings. Again. Thank you for the feedback. Hi, you are suggesting that BBC iplayer will work if your VPN is connected to the UK. I don’t think that is true I am using nord, connected to the uk and it won’t play. Please check out this help page, it it short and to the point, support.nordvpn.com/#/General-Info/1047407672/How-to-securely-watch-BBC-with-NordVPN.htm. This should take care of any issues you are facing with NordVPN and BBC iPlayer. So it is all a matter of resolving your problems. Being a senior of 70, am not very techy so bare with an old senior as to my question. I watch Netflix Canada,which I pay for and through my apple tv device and would like to change it to Netflix United States. I am told that all I have to do is change the IP and DNS on the apple tv under settings, network. I am wondering if someone could provide me with these codes or alternatively, other suggestions. Thanks in advance and much appreciated. One way is to sign up for a VPN service. Then install the VPN’s app. Then connect to a server in the US. After that go to the official Netflix site. The other way is to change your DNS settings on Apple TV. For that, just go to Settings. And then tap on the name of your network. After that go to Configure DNS. And then click on Manual. When that is done, restart your Apple tv device. You should restart your Apple device by going to the bottom of your General Settings menu and clicking on the appropriate option. When the device has restarted, you will have access to US content. Good luck and let us know if you have any problems. Thank you for the comment Lena. You can use a VPN service as mentioned in the guide. There are many geolocation spoof apps as well. All you have to do is search a bit. It’s not that hard. Try searching for a VPN provider online, I think you’ll find something you like. I personally use NordVPN, it’s not free, but it provides the highest safety level, in my opinion. And also, it lets me stream US Netflix. Good luck finding your favourite one! Thank you for the comment Owen. We’ll have to agree that NordVPN is indeed the best when it comes to streaming content from US Netflix. We don’t know what Cheese knives have to do with a new IP address but okay. Hello, Zohair! And thank you for the smooth article. Are you experienced with rotating residential proxies to change your IP address? I am looking into smartproxy.io and luminati.io as those seems the best at the time. Do you have any information on those to share? Well, at the moment, we’re having a hard time pinpointing the best rotating residential proxy. But we appreciate your suggestions. I want to change my IP address. Please give me some suggestion how to change it. Did it not help you? How can i do that in my window 10 hp, in an easy way. I guess…. How to use 2 vpn together? I do not want to show my actual ip to 1 of these vpn servers. That is the reason why I want to use 1 vpn to fake my ip then connect to other vpn server with that fake ip. Or just sign up for two VPN services and then connect to two VPN servers. I did subscribe to 2 VPNs, but could connect to only 1 at a time. I will try tor and upate for your users. Are you sure you do not want to make use of the NordVPN double hop VPN feature where the company directs your traffic via two VPN servers. I am a retired non tech type person. I have “cut the cord” and have a FireStick on one tv and a Roku on another. I want each of these devices to think I am in a different city so my HULU local network channels will be from my hometown. I want to keep up with the local news and sports going on there. Please help me learn how to do this. Please. Thank you so much. you need to set up a VPN on Amazon device and a VPN on Roku. Google the one for VPN for Roku. Then set the Amazon device to an international server. And Roku to your local city.